This classic French sweet is most often associated with the town of Montelimar where it has been produced for centuries. 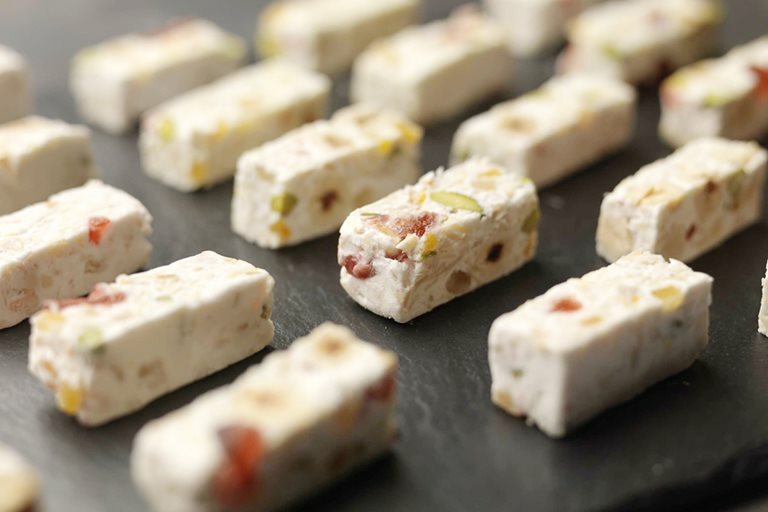 Martin Wishart's version is full of crunchy almonds and hazelnuts, with a splash of colour from waxy pistachios and glacé cherries. Sweet and chewy, it's best enjoyed after dinner with coffee.